Poll: What do you think about this post? The poll is badly flawed as there is not necessarily any correlation, between non-support of the suggestion and supporting the (sometimes damaging) course MS/Mj appears to be pursuing. IMO the great strength of MC is that (like some well regarded physical construction toys eg wooden blocks, Legos®, Meccano/Erector® sets) it provides largely primitives and relies on player creativity/ingenuity . The more special purpose blocks that are introduced, the farther the game moves from this foundation. Of the specific proposals, the Christmas/LED lights (which are similar to a number of previous proposals) would be most acceptable as continuing to play to this strength. Conversly, the tree light is the farthest from the base of MC's success; this is the sort of thing that ought be built (albeit the scale of the game pieces may force a larger end product), rather than crafted. 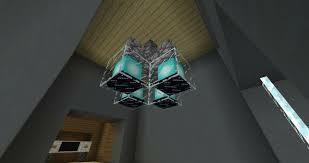 The addition of a frosted glass alternative that would give the look of the light blocks pictured when 'touching' a light source could be an interesting aesthetic addition (although fixing the bug that sometimes permits magma blocks to retain light would be a needed precursor [now claimed as resolved as of 23Oct18]). Yes, many things you said on here is correct. I appreciated the comment that you made. We don't need to know your personal details..
No, no, no, just no. You don't need to know our personal info any more than we need to know yours. However, in recent year, the Minecraft community been "attacked" by the Fornite, PUBG, Apex Legend community constantly update and Minecraft couldn't keep it update on par with other games. That's not a problem in Mojang's or Microsoft's eyes. Very limited? 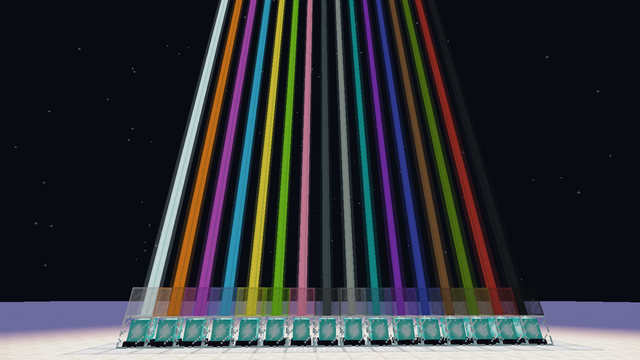 That's already 14 different light sources. 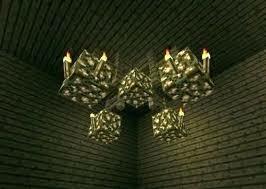 But even though there is a not a lot of light block, there are many different designs of creating light like this. Great, you just attacked your very own suggestion. We can already be creative with light, so we don't need more. Now imagine if there are many more light block, item. The ideas will be endless. Those images take up lots of space. Eye-gouging font like this? Check. Loads of images taking up space? Check. Introducing yourself (which is entirely unnecessary)? Check. This meets all the criteria for a terrible suggestion. Super de duper no support. Too many personal details and the suggestion feels like it jumps around. I can't tell what you're suggesting. INTRODUCTION: Hello everyone, my name is Tony. I'm currently 21 and live in California. I started playing Minecraft since I was 13, so it's been awhile. I love going snowboard every winter and go skates at my favorite skating place called Boomer in Fountain Valley. My major is computer science, basically writing codes, so I'm very excited about the upcoming Hytale game coming out. I love Minecraft but since Microsoft bought the company. Many things have changed, some are good, and some are bad. I recently created a Youtube account dedicated to making Minecraft Videos, but I'll also make more Hytale video when it is coming out. I have a channel called California Luminous on youtube mainly making Minecraft or Hytale video(maybe other games too). THANK YOU so much for reading my introduction. Now let's move on to the critical part. Despite likely writing multiple theses in order to get a Computer Science degree, at least for core classes like Composition, you've created a post that makes my eyes bleed. that contains completely bold text and full saturation Red and Blue-colored text. Despite likely writing multiple theses in order to get a Computer Science degree, at least for core classes like Composition, you've created a paragraph that's irrelevant to the subject material and distracts from the suggestion itself. It comes off as childish at best and extremely self-important at worst. You missed a comma in "I love Minecraft but since Microsoft bought the company, many things have changed..."
On top of what I gave for your introduction, these are weird questions to ask on a forum that you know can contain people between the ages of 13 and 18 if you've at least read the terms of service for a Twitch account. It also starts an irrelevant, offtopic conversation that distracts from the critique of the suggestion. If you want to poll people's age and favorite gameplay type, we have an Off Topic forum for that kind of thing. First of all, this is yet another paragraph that doesn't need to exist in a very simple suggestion. Second of all, Minecraft has survived a lot of games that would replace it. People said Terraria would replace Minecraft, and it didn't. Third of all, the games listed don't even have the same appeal as Minecraft. Minecraft appeals to people because it functions like digital legos: when you can create almost an infinite amount of art given a set of rules to work with or work around, a game can be fun for almost forever. Fortnite, PUBG, and Apex Legends are all First Person Shooter games AFAIK and appeal to people who want a casual 30 minute to two-hour gaming session, and at the end of the day what you do in those games has little effect on the next game you play besides a little bit of ranking or gaining an achievement. 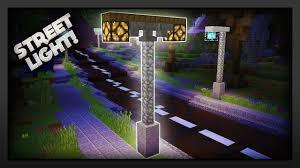 Fourth, you haven't given me a solid argument why light blocks will put Minecraft back into the spotlight that Fortnite and PUBG have. Why do I need 6 pictures of creative lighting strategies when one would have sufficed? You already said that we have limited light sources, I already knew that was the case. I also play this game. Now imagine if there are many more light block, item. The ideas will be endless. 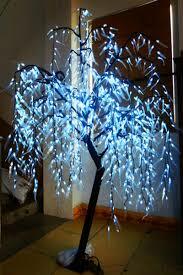 Some of the light item I was thinking like Neon light, LED light, Christmas light, Tree that light up. 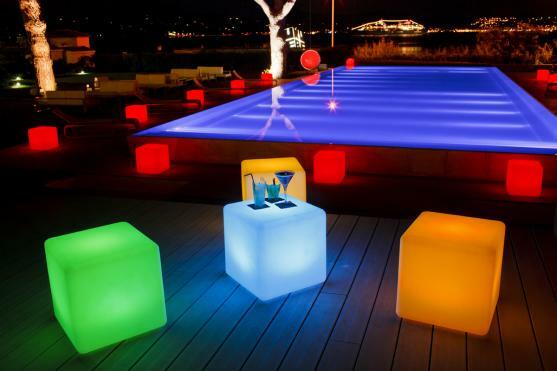 Light block with different color. You may can argue that you can do this with glass color on top of beacon like the picture below. Was a picture really needed here? 1. 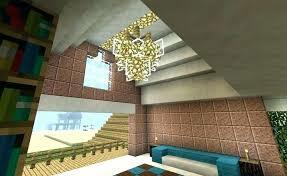 How do I craft this Light Block? 2. What light level does it give off? 3. Would it be a full block or would it take up a smaller volume than that? 4. Would it come in all dyeable colors? This specific light I would kinda support given what little detail I have, but I do feel like this specific block isn't much more useful than Sea Lanterns are. 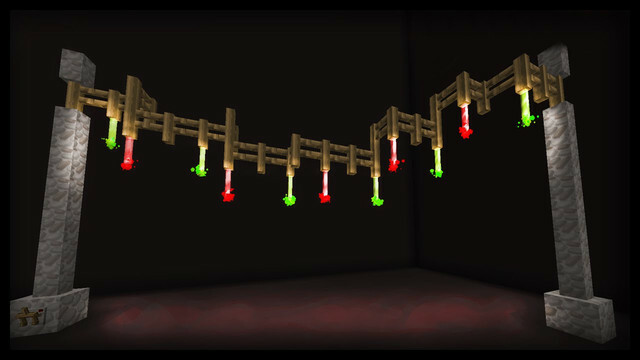 For the sake of using them in anything unrelated to holidays, I'd prefer if they'd be called strip lights if they were added, and I think it'd be cool if they worked something like a lead, but strung between two blocks. 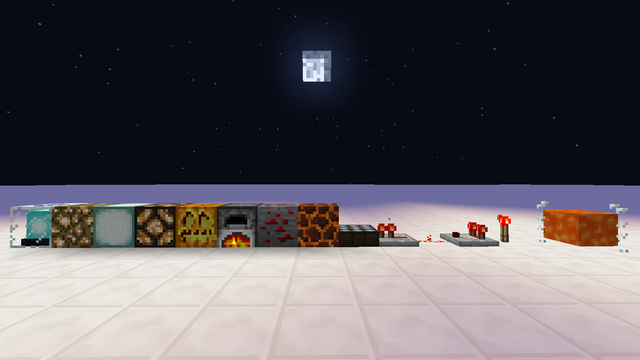 That being said, I think these are a bit too modern for Minecraft. 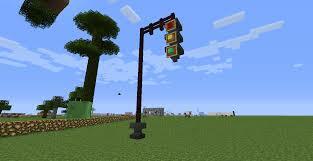 This is way too modern for Minecraft and I think you'd be hard pressed to find a way to justify it. Not only that, but Neon Lights only fit a few very specific builds. 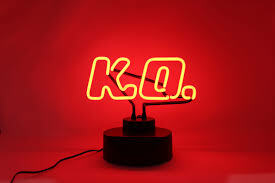 On top of that, you haven't actually stated what Neon Lights would look like. Would they show text? Would the text be customizable by players? 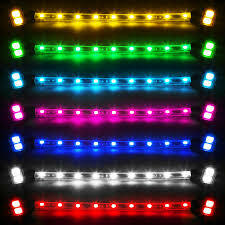 LED lights, especially Blue and White LED lights, are just obvious electric lights. I think you misunderstand how a suggestion is supposed to work: you are suggesting a concept that Mojang could derive a block from. We, on the other hand, are looking for blocks with certain behavior and design. Of all the suggested light blocks, this is probably the most specific and therefore the worst. Would you put tree lights in a factory? A castle? A spaceship? 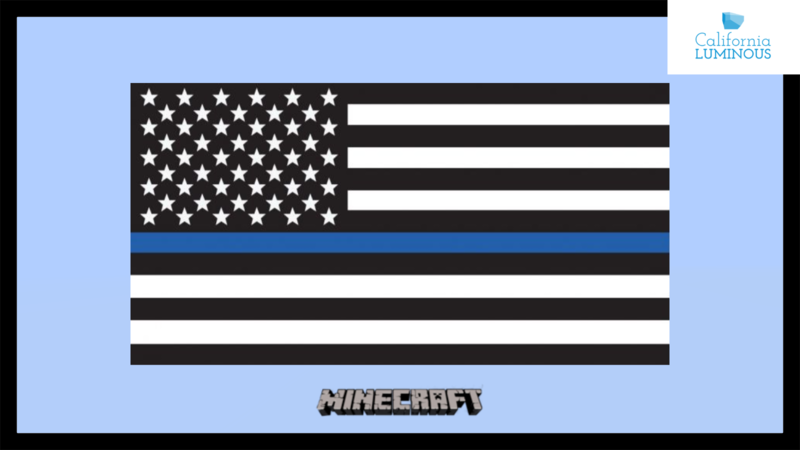 This is what I think that Minecraft could improve on the game. In the comment section below, I want to hear you guys thought about this topic. It could be anything, if you like it, dislike it, any thought in mind, just commented below. Also, if you like this threat, make sure to give this a like, thump up, happy face because I spent a lot of times making this threat and hope can see some activities in the comment below. I have a youtube channel call California Luminous on youtube dedicated to making Minecraft video tutorial so be sure to come and check it out. Give me a chance to prove my self. AGAIN, THANK YOU SO MUCH FOR READING THIS POST. YOU COULD BE ANY WHERE IN THE WORLD RIGHT NOW BUT INSTEAD YOU SPENT YOUR PRECIOUS TIME READING MY POST. HAVE A WONDERFUL DAY AND STAY SAFE.